I mean celebrating our birthdays in your glorious city, so I've decided to follow it and run a birthday party in the Park! a prize of 200 stars will be handed out to each member of the top-5 bands who take over Park district! Those musicians who manage to get top-5 personal ranks in Park at the time of redistribution will have their stars salary trebled! The contest begins on 16th May, 5:30 GMT and ends with Park district redistribution! 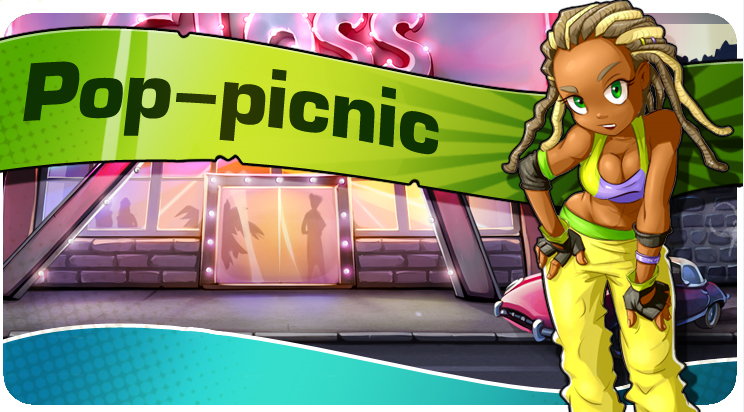 Dear friends, the time has come to announce the winners of Pop-Picnic contest! The leaders of band contest are Hello Kitty, Mojo Stars, My War, Best In The World and Virus of winning. All the members of these bands receive a prize of 200 stars. The winners of personal contest are Baki, LadyGaga, Prifect, Nastigator and Aloysia; these players get their common district reward trebled! All the prizes will be handed out within a day. We congratulate the winners and wish everyone good luck in the upcoming contests!